Gurulugomi, the renowned prophet of the island of Bakamoona, lies in the home of his adopted land, Australia, having returned from a visit to his island of birth and upbringing. He had visited Bakamoona after twenty two years of voluntary exile in Melbourne. He had left the island because he had earned the wrath of its then rulers for his candid opinions, which he had the habit of expressing regardless. Fellow countrymen who met in the Community Centre at Glen Waverley gathered around him. They said: “Speak to us and give us your views of our dear motherland. Are our people happy and free”? “They say we have a High King there. Tell us about that,” urged the gathering. “But what about the monks? Can’t they advise the King as monks did in the past”? “How is the life of the people”? “These artists must be patriots. Are there many other patriots in our land, Bakamoona”? “So is there no hope at all for the people like in the old days when they removed bad rulers”? By now the sun has dimmed and it was getting dark. Gurulugomi bent down his head and wept. Thank you. Well articulated. If you are in the circle, great. Here is a kid who was not in the circle, and her father was murdered by the monks , the sate and their goons. Sinhala Buddhist Racism and Chauvinism. Fine piece of writing Shyamon Ayya! ‘Have ye ever spoken thus? Have ye ever cried thus ? Ah! would that I had heard you crying thus! Lo, I teach you the Superman: he is that lightening, he is that frenzy. ( and he is that Miracle of Asia).” -Thus Spake Zarathusthra. But but worsest was “kanu-kata”‘s time during which the writer Gurulugomi was one of the prominent “raaja-purushayas” and wholesale burning and disappearances of fellow countrymen occurred. Who knows but these raaja-purushaya’s had hands in them..
SJ if you know Gurugomi please advice him to spend the next 22 years also in Australia, as Rajaappakasa regime members approximately 387 family around Mahinda may not like this straight dis- information given by him to the poor Victorians. A true story, well told. It is also a story that can be comprehended by the simplest amongst us. The Samurdhi subset is quite true. It is the Damocles’ sword hanging over the poor and wretched. When sj quotes from what he plagiarises from western philosophers and writers, our lot here treat them as gospel coming from a messiah because of their admiration of thuppahi colonial culture. Please be aware that sri lanka had a 2,000 + years of culture and civilisation before these fellas came and begun to destroy them beyond recognition by dividing us, setting one group against another and treating sinhala buddhists as third class citizens through overt and covert means. “Sri Lanka boasts of a rich literature from the time of the ancient kings. The development of the Sinhala script, just like architecture, painting and sculpture, had a close link to Buddhism”. Shyamon Jayasinghe has quite accurately summarised the current state of affairs of Sri Lanka in a very interesting way. One wonders how the ordinary people could stand this regime for many more years. Without an effective opposition, surely the Rajapaksas are going to govern this country for many more decades. May be what the Rajapaksas want is for all Sri Lankans to get on to boats and go to Australia so that they can live without any undue interference from anybody. The news is that Ranil is gathering mass support in an unexpected way. MR is in a spin. Saw the Gampola meeting report in LankaEnews (Sinhala). Gamopla was a sea of heads for a Ranil meeting.Dayan, what do you say? In the final analysis Ranil should ask himself a very important question that is does the Election Commissioner honestly adhere to law of the land? The next question is does Gota support Ranil? “Sinhalese people are as foolish as they were in ancient times”. Mr Fernando, I do not expect anything else from a portugese descendent. It has been said long ago that “most of those who deserve Samurdhi do not receive it,and most of those who receive it,do not deserve it”. The old Samurdhi Niyamakas decided receipients on political affiliation and not on their financial status. Now,their designation is changed, and all of them work during and inbetween elections to keep the MR regime in power. Beside the ex LTTErs and their supporters, there are lots of Bakamoonas who have become Economic refugees. They can’t stomach the current development of the ex Motherland which finally is providing some benefits to the great majority of the inhabitants who have been the underdogs since the ancestors of the current custodians of World Human Rights conquered the land. This is one of them who has an additional dislike for the Sinhala Budhhists, although his Spiritual Leader from the Holy See is coming over soon to bless the Land and her Bakamoonas..
Perhaps this one is from the Protestant or Born Again clans who are now working OT to take even the Catholics to the Gods Kingdom on a short cut. Will the President call a snap Election after the Holy See bless the Land and celebrate open High Mass in front of the Protestant/ Anglican built GFH ?. Will the Ranil Faction be able to retain even the .Catholic vote after the poor in the Catholic Belt get this once in a life time opportunity to see their Spiritual Leader?. These are the important issues which the anti Govt lobbyists must focus on rather writing Kindergarten stories. 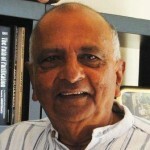 KA Sumane the writer, Shyamon Jayasinghe, is a confirmed atheist and rationalist. How can he be a Christian? Study your facts before you write. What he has said is true. Why don’t you challenge any one point? This government does only roads because of the huge commissions. Not a single industry set up. No agricultural projects. Rajapakse is collecting money and selling overseas jobs to poor youth. For Korea they must pay 4 lakhs. 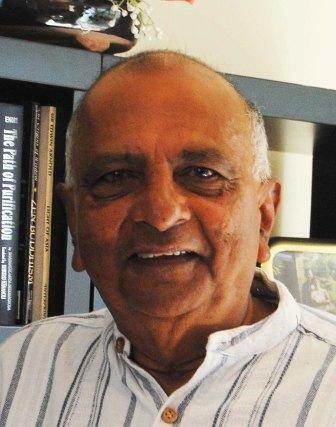 Mohan has tried to complete the list of patriots in Rajapakse Sri Lanka but he will not be able to finish the job as the numbers are endless. Gunadasa Amarasekera is seen going about shouting with banners against ‘imperialist NGOs.’ His voice is weak as he is now very aged. Now MR is going to wage war against US and more patriots will join him. These patriots are not concerned about the big drug business going on that will engulf our youth. Duminda the drug lord is put in charge as MP supervising the Defense Ministry!